The Finnish Government Shared Services Centre for Finance and HR (Palkeet) is a provider of group services in the administrative branch of the Ministry of Finance. Our staff, consisting of approximately 630 professionals, provide finance and HR services for central government agencies, departments and funds, as well as state-owned businesses and fully state-owned limited companies that provide services for the Finnish government. In addition to this, we also serve approximately 73,000 individual government employees. The current services centre model of Palkeet was adopted in the early 2000s as a response to the need to streamline government finance and HR management. The Services Centre's shared operating methods and reliable expert services make everyday administration easier, and provide customers with the opportunity to focus on their core competencies. Our service concept is based on service-mindedness, partnership, efficient electronic processes and cost-effectiveness. Our goals are to make our client's everyday lives easier by providing smooth and effective services, and to contribute to the achievement of central government productivity targets. Our vision is to be an influential pioneer in administration service solutions. Palkeet develops services and processes in cooperation with its customers and with the Ministry of Finance and the State Treasury. Digitalisation, process automation and the use of data in management will have an immense effect on the development of finance and HR administration in the near future. Our values emphasise the service-minded attitude of everyone working at the services centre and our close cooperation with our customers. We appreciate employees willingness to develop their competence and expertise and put themselves out there. We foster long-term relationships with our customers with the aim of building a shared, close-knit financial and HR management team with the customers personnel. Palkeet operates on a cost price basis whereby payments cover the costs of service provision and development. 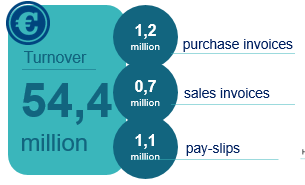 Our turnover in 2017 was EUR 54,4 million. 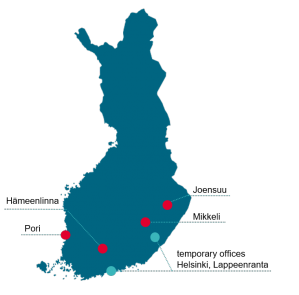 Our offices are located in Joensuu (administrative headquarters), Hämeenlinna, Mikkeli and Pori. In addition to this, we also have temporary offices in Helsinki and Lappeenranta.